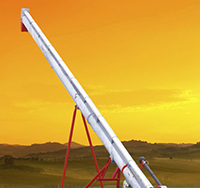 Wheatheart Manufacturing was established in 1973 and manufactures portable grain augers, grain handling accessories and fencing equipment. Wheatheart moved its base of operation from the family farm to Saskatoon in 1981. Since then Wheatheart has grown tremendously along with our product line. Ag Growth International acquired Wheatheart in 1998. 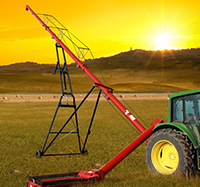 Today, Wheatheart’s 50 employees produce high-quality, portable grain augers, grain handling accessories and fencing equipment in 34,000 square feet of production facilities in Saskatoon, Saskatchewan. 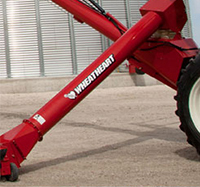 Wheatheart is a market leader in the Western Canadian grain handling and fencing equipment markets with a rapidly growing market presence in the U.S. and other fencing and grain markets around the world. Wheatheart equipment is built with resilience and longevity in mind and can withstand the physical demands placed on today’s farming equipment. 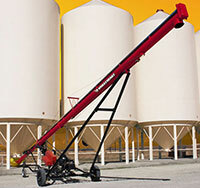 Wheatheart Manufacturing is a division of Ag Growth International. Established in 1996, Ag Growth International (AGI) is a leading manufacturer of portable and stationary grain handling, storage and conditioning equipment including augers, belt conveyors, grain storage bins, grain handling accessories and grain aeration equipment. AGI's sales, marketing and distribution system is comprised of approximately 1,400 dealers and distributors that distribute product in forty-eight states, nine provinces, and overseas.